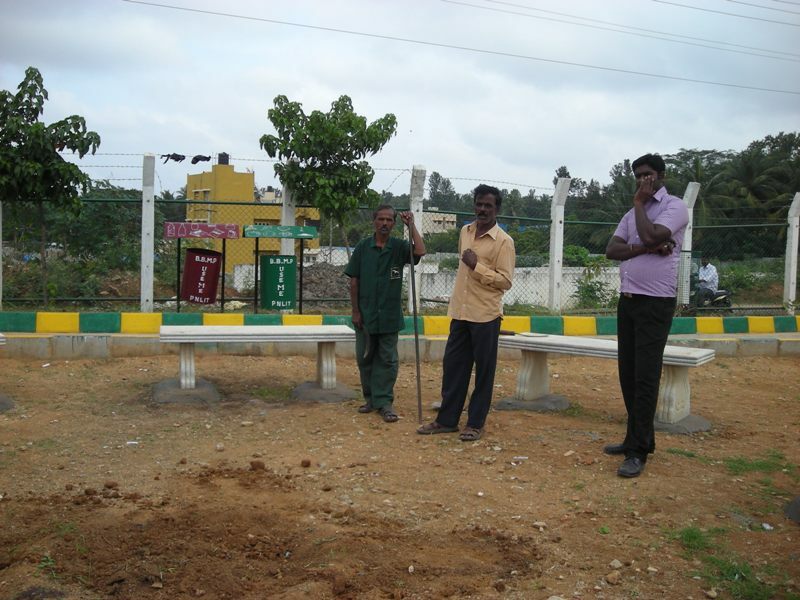 PLOG - The PNLIT Blog: Public spaces or political spaces? Peepal or Bo trees are large and erect with shining heart shaped trees that flutter in the slightest breeze. Seeds in bird droppings let out roots quickly and they grow everywhere, even in little nooks on walls. As its botanical name indicates, Ficus Religiosa is a sacred tree revered in our country. Reluctant to throw away their broken idols or pictures of gods, people leave these at its base. Occasionally they build a temple beside it. 3) Birds would flock to it. Last year we found a sapling growing in a confined environment but we were unable to remove enough of the roots for it to survive. 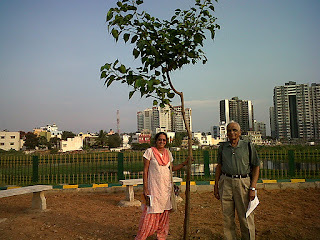 The second sapling, similarly obtained, was planted on 16th September 2010 by Mr. Bhoja Shetty, 89 years old, retired Conservator of Forests and Mr. Vedanthan, 82 years, former CEO, Astra Research Centre, a Swedish firm. It caught on and we lavished attention on it. It thrived and shot to nearly 15 feet within a year. We got five benches put around it and imagined the time some four or five years later when it would have grown tall enough for birds to roost and nest; when people would sit below it and watch the birds on the branches or in the lake. 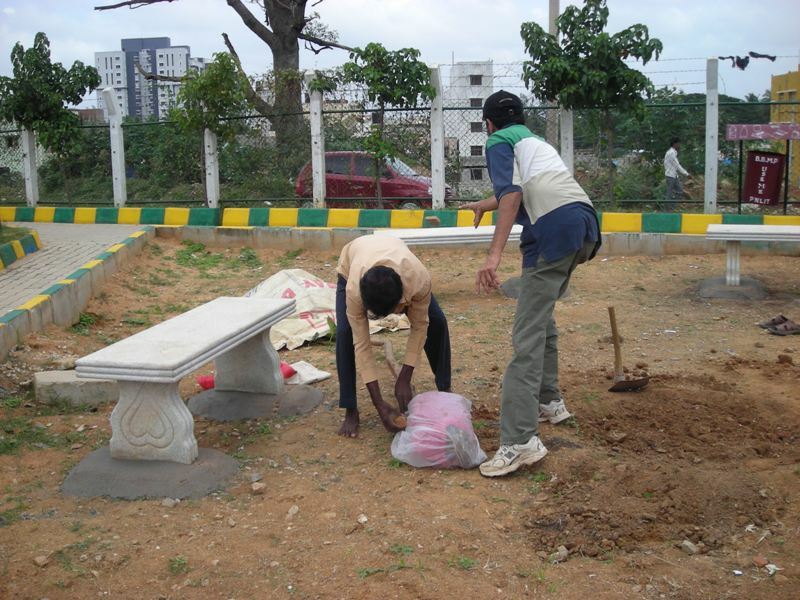 Our dream crashed when Mr. Mohan Raju, BJP President of Bommanahalli got it chopped down on 29th Oct. 2011. As trustees who have signed an MOU with the BBMP to maintain the lake, we brought it to the notice of our corporator Mr. Ramesh who got Mr. Mohan Raju to come to the lake and meet us. 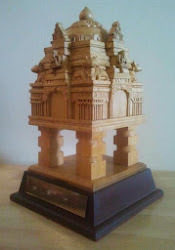 Mr. Raju's argument was that people would build a temple beside the tree and it would be difficult to evict them. Our concern is whether citizen initiatives like ours can get undone so easily by political might – by a non-official person acting outside the system of government and carrying out work himself. 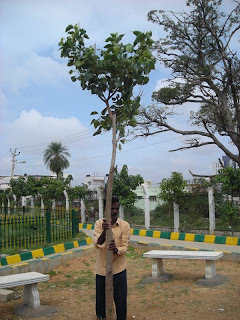 If only he had told us, we would have arranged for the tree to be carefully removed root and all and replanted it elsewhere, perhaps in a temple premises. On our request, he has agreed to get a Red Silk Cotton sapling to plant in the same spot. We hope he will be as prompt in getting the replacement tree as he was in getting our Peepal cut down. We also hope that he or any one else with political clout will give a little thought to what some citizens are doing for common good with no personal gain for themselves. 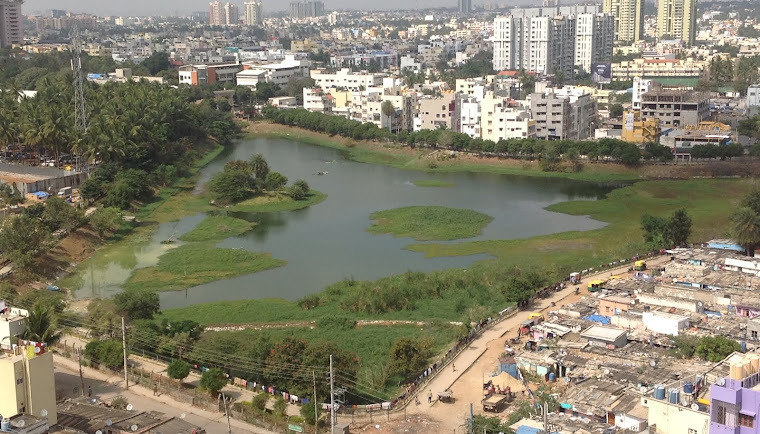 In this case, trying to restore a once dying lake and planting trees in a city that desperately needs both. Peepal trees are really beautiful. Glad you have chosen that tree to give ample shade in the space. Aside from these Peepal trees, it would also be a great idea to plant natural grass and install synthetic grass. These will make the place more compelling. I think that it's important that people plant trees so that future generations would have some fresh air. 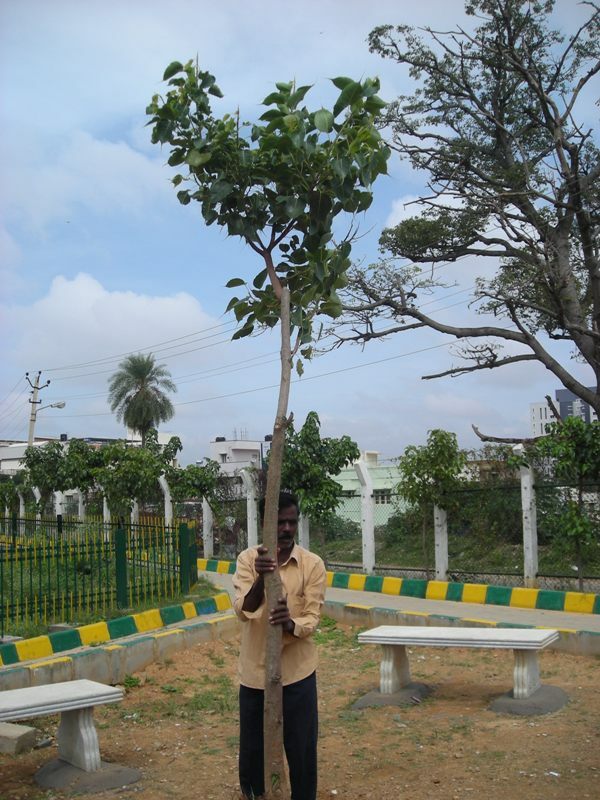 Oh, I never saw PeePal tree before I read this post, so it was an educational post for me. As for meta-theme of post, my opinion is very similar to yours in this question. I hate people who complain that government is useless, when they did nothing to make world around them better. I hope someone will translate your website into different languages to make your wisdom spread on all over the world.